Unlock Manchester aims to bring a Quality Annual Guide to these visitors to engage them with the cities offerings including Entertainment, Shopping, Services and Events. The Guide will be a 'Coffee Table' style book available in many hotel rooms across the city. It will be the 'Manchester Year' and information will be presented in an easy to digest sectional format. The Guide’s printed edition will not carry adverts for Hotels or Restaurants, to avoid conflict with our hotel partners. 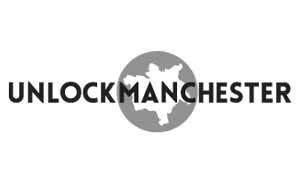 Unlockmanchester.com is in pre-launch it will feature all the information carried in 'The Guide' plus further information about our partners and a 'What's On Guide'. Promote your business in a clear and direct fashion to this target audience. Help build Manchester as a destination and Your online presence. We can help you to create your advert and drive consumers to your door. There are number of advertising options and these include. We are open to ideas so please contact to discuss your requirements. Offering you a quick and fixed low-cost direct marketing campaigns to consumers within the Greater Manchester region. Consumer confidence is created as they can contact you directly and are not asked to provide a payment up front. Our services enable you to manage your marketing spend and reap the rewards without paying a commission to the promoting company. Be in control of the full campaign specific its 'live' period, establish realistic consumer prices and build your own consumer database. Contact us today to explore how we could help your business on 0161 850 1010. Unlock Manchester has been established by a group of marketing professionals and creatives offering clients a wealth of knowledge and experience. Working with all sizes of business from the Sole Trader to Multi-Nationals, planning marketing campaigns and promoting 'goods and services' to consumers and business alike. Based in Manchester, for the last 5 years, our campaigns have help many businesses grow, reach new customers and generate brand awareness.